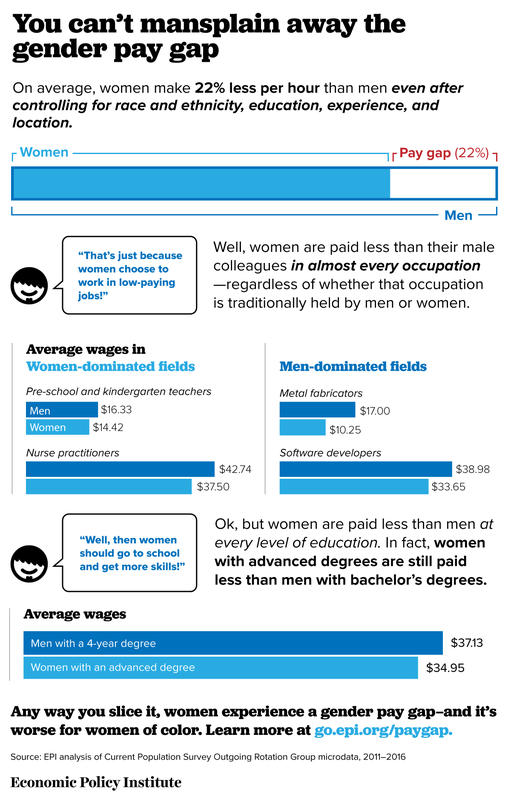 April 4th is Equal Pay Day, a reminder that a significant pay gap still exists between men and women in our country. Equal Pay Day is April 4th because it marks how far into the next year women would have to work to earn the same amount that men earned in the previous year. On average in 2016, women were paid 22 percent less than men, after controlling for race and ethnicity, education, experience, and location. To close the gender pay gap, women need to see real wage growth faster than their male counterparts. The best type of narrowing occurs when both women and men see real annual wage growth. To see how much you could be earning in a more equal society, check out EPI’s Gender pay gap calculator.